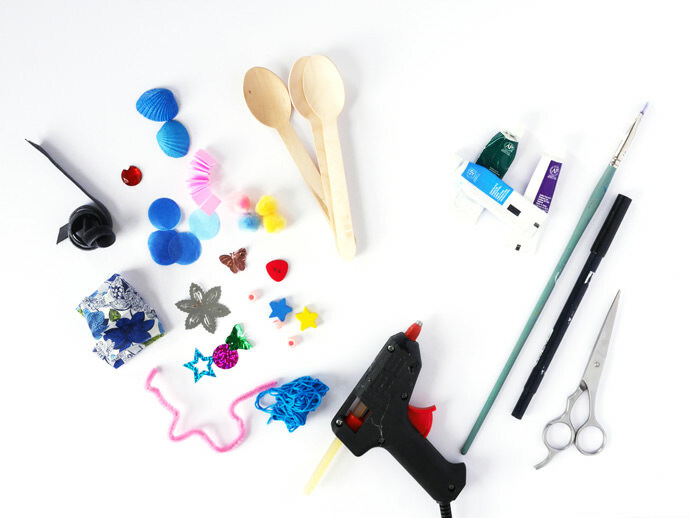 I’m teaching Louise, my 7-year-old, how to recycle in a fun way by making objects, toys, and games out of what we have around the house. By being creative with what we have. 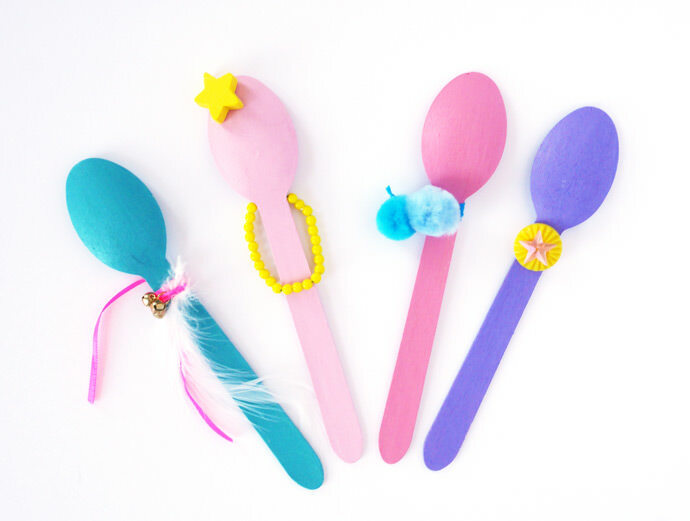 Of course, like every mom, I have some craft supplies for the kids. But to be honest, we don’t have that much. We are always trying to reuse our supplies until the end. 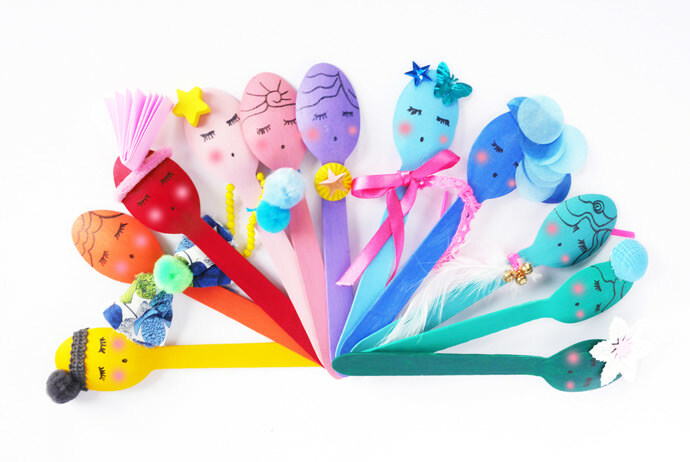 For these spoon puppets, I reused our disposable picnic wooden spoons from last year. We painted and decorated them with whatever material we could find around the house. My adorable toddler, Roman, is learning about colors. So I decided to introduce the colors of the rainbow. That is it! Trust me, it’s fun. The idea behind the puppets was for the kids to share a game together, even if they are 5 years apart. 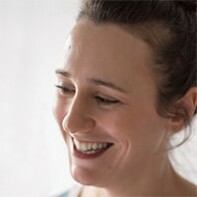 In the end, both Louise and Roman got involved and added their own touches. They love playing with the puppets and are quite creative with the stories. Now it’s your turn! Just go with the flow and do your own thing. That is one of the most important aspects of crafting with your kids. 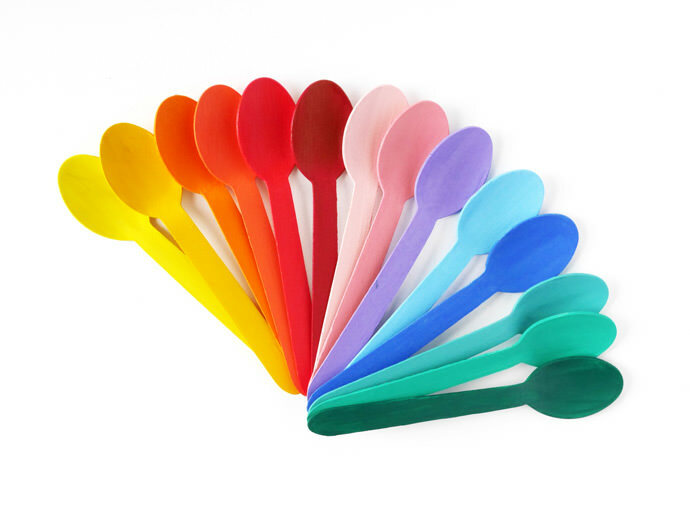 Paint the spoons: yellow, orange, red, pink, purple, blue, green etc. 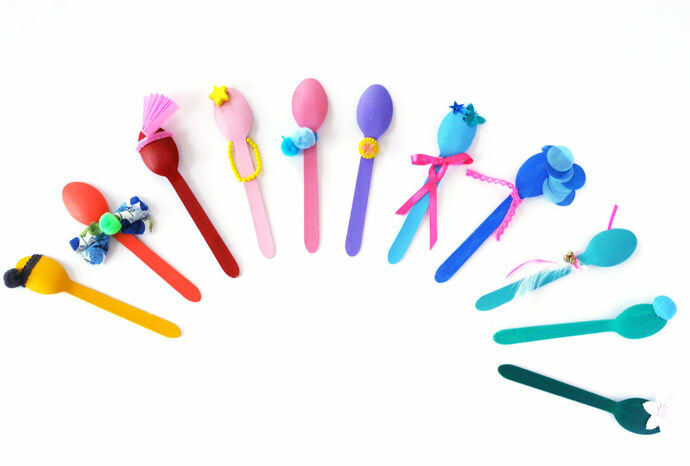 If you want, make your own shades and colors and go for it. Then let them dry. Decoration time! 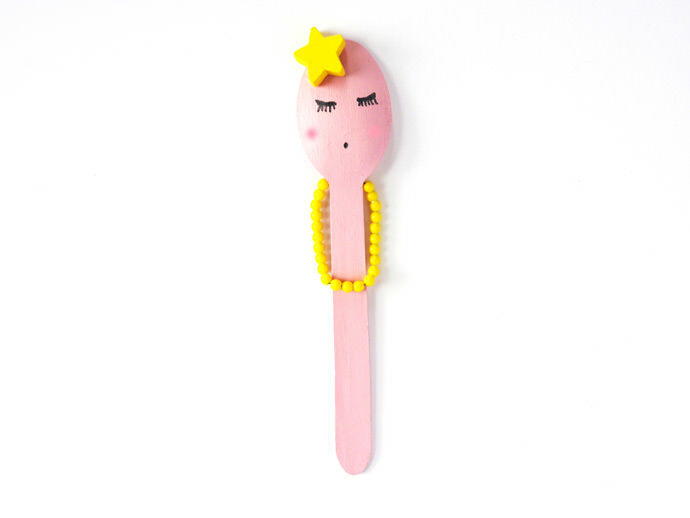 Take each spoon and make it into your own character. 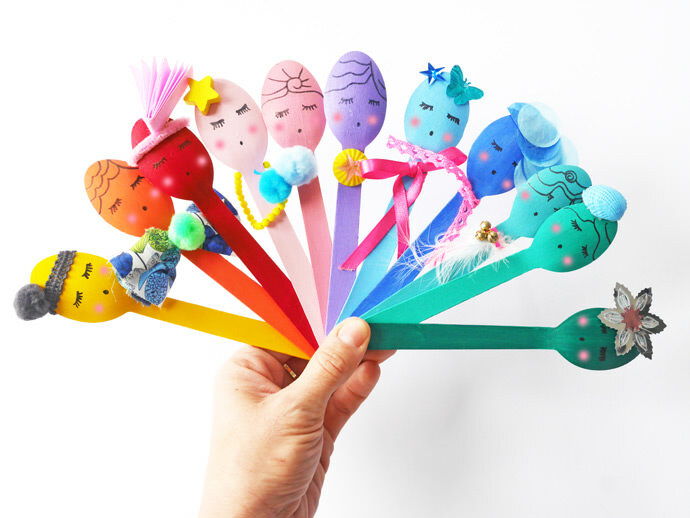 With the glue gun, glue anything you want to the future spoon puppet. Now with your markers make two eyes, a mouth, and cheeks. Let them dry and then you’ll be ready to play!